Food is the largest segment of consumer expenditure in the region and stood at $83 billion year-end 2012, says new report. 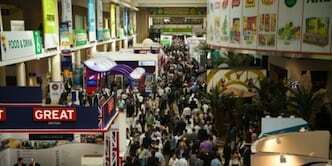 Crowds at Gulfood exhibition in Dubai. Consumer spending on food in the GCC is expected to reach $106 billion in the next five years, according to a new report by management consultancy AT Kearney. Food is the largest segment of consumer expenditure in the region and stood at $83 billion year-end 2012, 28 per cent of the total spend, said the report. Saudi Arabia and the UAE together account for around 75 per cent of the region’s total food retail market, it added. The report comes as Dubai hosts Gulfood, one of the region’s biggest food industry exhibitions, which is attracting 4,200 exhibitors from 110 countries this year, said organisers. Addressing a conference at event, Sheikh Lubna Al Qasimi, UAE’s foreign trade minister said that the UAE’s food industry is growing rapidly and has an enormous potential for investment. The food industry is vital for the country since the population in the region is growing rapidly, she said. The value of food consumption in the UAE is expected to have reached Dhs28.2 billion in 2012, and is forecast to hit Dhs32.6 billion in 2013, according to Hamad Buamim, director general, Dubai Chamber of Commerce and Industry (DCCI). “UAE food consumption has risen considerably in recent years and is projected to grow in line with rising populations and affluence,” he said in a statement. The GCC as a whole will also see rising demand – thanks to population growth, higher per capita income, and increasing tourism numbers food imports to the region will increase by as much as 100 per cent to Dhs194 billion by 2020, said Gulfood organisers. However, as growth accelerates, food retailers in the region are now facing increased competition, forcing them to rethink strategies, said AT Kearney. “Also with growth having been focused on expansion in the past, the maturity levels of regional players is low, requiring sophistication of retail capabilities in the near term to remain competitive,” it added. Dr. Martin Fabel, partner AT Kearney commented: “GCC food retailing is set for growth and offers a $23 billion opportunity for the regional retail industry to leverage, but it will require players to move first, move fast and make the right move. “Adopting a clear, differentiated strategy and implementing global best-practices to achieve sustainable competitiveness and growth is critical to overcome impending threats in the market, and capture a share of growth without losing market share and profitability”, he added.